All of our products are made to keep buyer, baby and the planet happy. 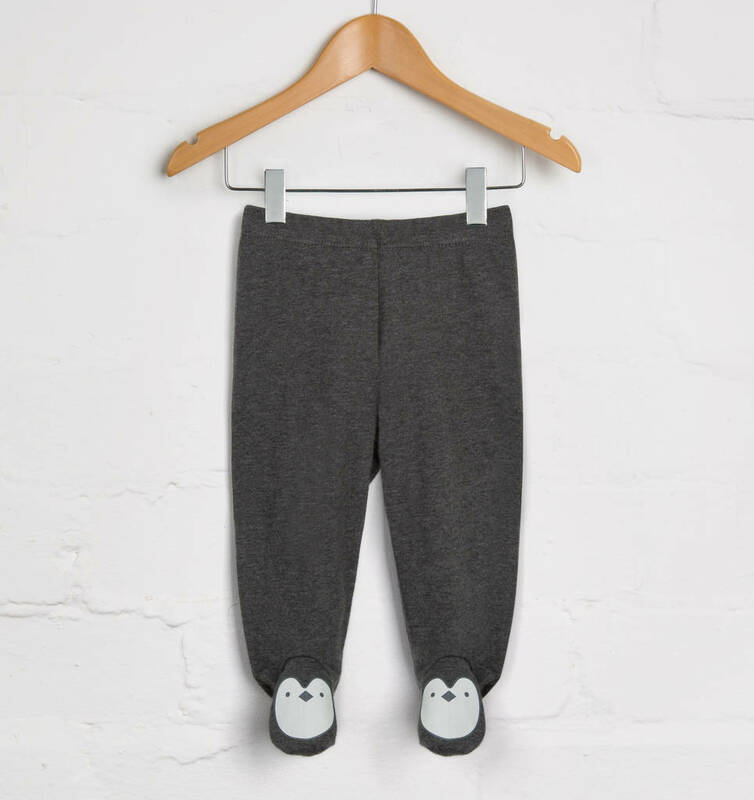 We use 100% GOTS certified organic cotton and all our baby and toddler clothing is ethically and sustainably sourced, making these Penguin Feet Joggers and ideal gift for baby showers, newborns, and first birthdays. Penguin print front and off-white underside gives happy little waddlers distinctive look. 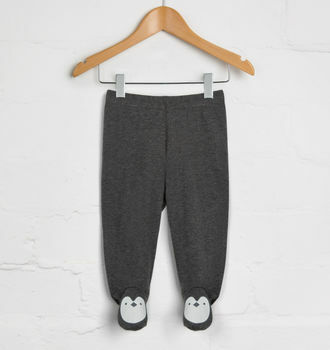 These comfy harem style joggers lend themselves to all the Arctic antics you’re little waddlers get up to, with a stretchy waistband for easy-dressing and a cute, cuddly penguin printed graphic. Our tops and joggers in our penguin range mix and match and all complement each other perfectly.